Marchettino - The ONLY official website: An electric Lambo... what?! Purists of supercars, relax, you're not going to see a powerful Lamborghini powered with an electric engine. Oh well, at least for the moment. Yes, it's not a joke, it's a real Lamborghini ahah. 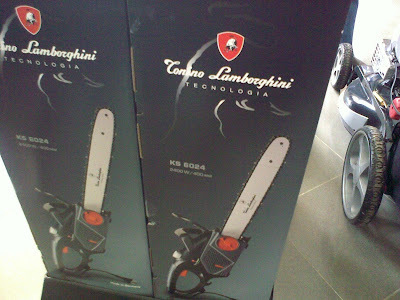 Did you know that one of the most important supercars brand produces also gardening tools? For just 200$ you can tell to your friends you have a Lamborghini. What you see here is a chainsaw made by Lamborghini. Unfortunately no V10 or V12 engines have been used for these. 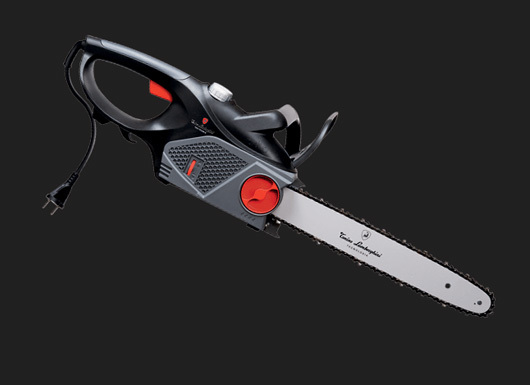 Lamborghini is not the only automotive brand that produces in addition to cars, electronic tools. For example Mitsubishi is well known in the production of TVs or air conditioners.